First a big thank you to Presonus for providing the AudioBox 2 X 2 USB Recording System for this Review. 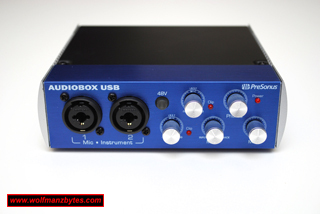 It’s been quite a while now since I’ve done a Review on an audio interface and so with that in mind, today I take a look at the Presonus AudioBox 2 X 2 USB Recording System to see what all it has to offer and what exactly makes it a good recording system. WI-FI Protected Setup (WPS) Broken. 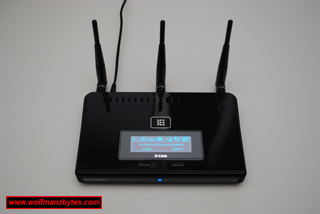 Anyone using a modern wireless router may want to pay attention to this article since there has been a major flaw discovered in the WI-FI Protected Setup (WPS) protocol that a lot of modern wireless routers have enabled by default. 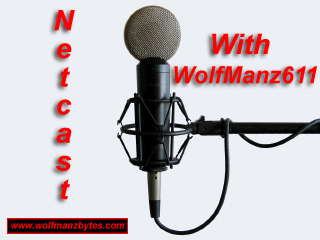 This is the latest Audio NetCast from WolfManz611..
First a big thank you to Hauppauge for providing the WinTV HVR 2250 Media Center Kit for this Review. 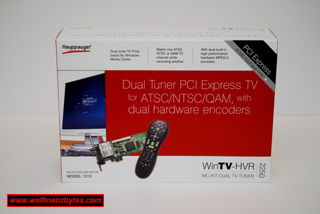 It’s been quite some time since I reviewed a TV Tuner card, so with that in mind today I take a look at the Hauppauge WinTV HVR 2250 Media Center Kit and see what it has to offer. 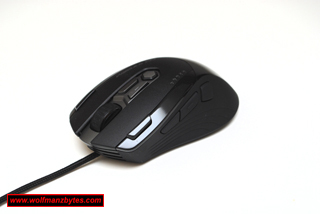 Coolermaster CM Storm Inferno Gaming Mouse. First a big thank you to Coolermaster for providing the CM Storm Inferno Gaming Mouse for this Review. Today I take a look at the best programmable gaming mouse that I’ve Reviewed to date, the Coolermaster CM Storm Inferno Gaming Mouse. When PR agencies go WILD! I knew it had to only be a matter of time before I would see a PR agency put its foot in its mouth and today that has happened with the PR agency The Redner Group who was in charge of the PR for the game Duke Nukem Forever. Well here we go again, another article on yet another defective product that I purchased a while ago. Today I talk about the Vizio VA370M LCD TV and why I will not buy another Vizio TV for as long as I live or deal with the store TigerDirect ever again. Korg NanoPad defective by design? 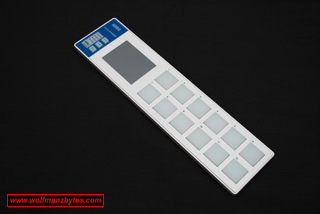 This article was supposed to be a Review of the Korg NanoPad however, that Review got shelved when I couldn’t do the Review do to the fact the NanoPad I had ended up being defective. So with the Review out of the question I will instead talk about the process I went through to get a fully working Korg NanoPad and come up empty handed. 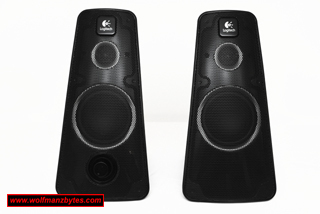 First a big thank you to Logitech for providing the Logitech Z520 Speakers for this Review. It’s been a while now since I reviewed a set of speakers, so with that in mind, today I take a look at the Logitech Z520 Speakers and see what they have to offer. Youtube = Youscrewed if you delete files by mistake! Ever been messing around with some files on a computer and by mistake, instead of deleting one file that you wanted to delete you end up wiping out a whole bunch of files? I had the pleasure of experiencing what that felt like on April 7th 2011 but for me it wasn’t some files on my computer that I managed to delete by mistake, it was my entire channel of videos on Youtube.